While a fanfare of trumpets announced the resumption of so-called peace talks between Israel and the trampled Palestinians, to be held under the watchful eye of America’s Zionist ‘facilitators’, the Israelis were awarding special priority grants and other government funding to a number of their outlying West Bank “settlements”. Settlement is a nice friendly word suggesting a peaceful pioneering enterprise. Israeli settlements are anything but. Let us call them what they really are: illegal colonizer squats on land seized at gunpoint. Recipients of these special funds included four squats that were considered illegal even by Israel until the Tel Aviv government decided to change their status. Handing them more rewards makes a nonsense of Israel’s claim to be a peace partner and for that reason a small handful of ministers abstained. But even justice minister Tzipi Livni, who heads the Israeli side in the talks, could not bring herself to vote against this blatant endorsement of the illegal squats that scuppered earlier talks. According to Ynetnews the list passed the government vote unopposed. Towns on the list will receive a government injection for 30% of the cost of hotels and other tourist ventures, as well as reduced costs for housing and infrastructure and aid for culture and environmental projects. So expect to see these frontier towns promoted as destinations on the Israel tourist trail when actually they are on stolen Palestinian land. By now it must be obvious to all that the regime is no partner for peace, never was and never will be. Here is how the situation looked nearly 5 years ago, as I noted at the time (December 2008)…. But when Abbas’s team was asked if Bush would press Israel to ease its blockade of Gaza, it seemed the US president would not commit to negotiating an end to the siege. So we can see how devoted they actually are to the cause of peace. Meanwhile the Quartet – America, the EU, Russia and the United Nations – says there’s no turning back from US-led talks between Israel and the Palestinians, despite their spectacular lack of progress. No reverse gear, and no forward gears either, it seems. It seems to me that at least six things need to happen before Middle East peace stands a chance. First, the Palestinians must show some steel, walk away from these bogus talks and put the blame squarely where it belongs – on Israeli and US dishonesty. Second, the Fatah and Hamas factions must unite so that Palestinians, finally, can pursue their quest for freedom and independence in a businesslike way. Third, they must start proceedings at the UN for full membership and bring charges of war crimes against Israel in the International Criminal Court. Fourth, the Arab nations must show concerted support, likewise the civil society solidarity groups in the West. Fifth, the Christian churches must wake up, throw off all Zionist influence and reclaim the Holy Land heritage so central to their beliefs. And sixth, the European community must suspend Israel from the 1995 EU-Israel Association Agreement. The purpose of the Agreement is to promote peace and security, shared prosperity through economic co-operation, free trade and free movement of capital, and cross-cultural rapprochement. It governs not only EU-Israel relations but Israel’s relations with the EU’s other Mediterranean partners – which include the Palestinian National Authority. To enjoy these privileges Israel undertook to show “respect for human rights and democratic principles”, described in Article 2 as “an essential element” of the Agreement. Steps may be taken to enforce the contractual requirements regarding human rights, self-determination and fundamental freedoms for all. The Universal Declaration of Human Rights adopted by the UN in 1948, Article 13, states: (1) Everyone has the right to freedom of movement and residence within the borders of each state, and (2) Everyone has the right to leave any country, including his own, and to return to his country. But Israel continues to show the same contempt for the rules of the Association as it does for international law. In 2002 the EU Parliament did vote to suspend the Agreement, condemning the military escalation by the Sharon government and the oppression of the Palestinian civilian population by the Israeli army. But the unelected EU Commission simply ignored the will of Parliament. Consequently there has been no improvement in Israel’s behaviour. It is time to try again. Israel relies heavily on exports to Europe where it enjoys ‘favoured nation’ terms. By pulling the plug – as provided for under Article 2 of the Agreement – instead of continuing to reward Israel for its crimes, the EU could go a long way towards resolving the problem in the Holy Land. The EU has already fired warning shots by blocking the funding of entities within the illegal squats and requiring illegal squatter goods to be labelled as such. But these measures are not enough. The situation warrants a total ban on the trade. In 2004 the International Court of Justice – that “principal judicial organ of the United Nations” – ruled that the Separation Wall is illegal and must be dismantled, and Israel must compensate the Palestinians. Furthermore, said the ICJ, all States are under an obligation not to recognize the illegal situation resulting from the construction of the Wall and to ensure Israel complies with international humanitarian law. Israel is still building the Wall. And despite its huge leverage the international community, in 65 years, hasn’t even begun to rid us of the evil that engulfs the Holy Land. Who can blame those who now believe that the regime occupying Jerusalem “must vanish from the page of time”, as Ayatollah Khomeini so poetically put it, if peace is ever to blossom? Why even if the current round of peace talks are successful, the situation won’t get much better. Ready, set, go! The Holy Mideast Peace Process merry-go-round (the second longest running act on earth, the only one older being the occupation it pretends to be solving) is off for another spin. While the U.S. president gets to largely keep his personal distance from the mess, he’s still invested to some degree. Since Kerry’s prestige, or what’s left of it, is definitely laid on the line here, some of the White House’s is too. And while the U.S. doesn’t have the ability to shape events that it once did, it still has enough clout that most media that wants to be recognized as “serious” has to take the charade seriously. So, let me break down why not only will these talks go nowhere, but even if they did it would not lead to any good. I’m betting you’ve heard all about how the most Netanyahu will be willing to give is still far from the minimum Abbas will be able to accept. Yet the counter for this argument is that the greatness of the opportunity will be forced upon our Bibi, and he will switch the recalcitrant Jewish Home (Settler-religious) party for Labor in his ruling coalition, pass a deal that will actually result in something the majority of the world would be willing to call a “Palestinian state” and declare the whole bothersome business dealt with, moving on to other crap that needs attending to around the globe. Further, intimate some reporters, Netanyahu realizes that his only way to keep the prime minister position (without the entire world letting Israel know it’s closed for business till a change in management happens) is to make some kind of deal happen this time, and he is even willing to do what Sharon did and leave the more right-wing wing of his own Likud party behind and start a new party. All this, we’re being told, will combine to align the stars as they were in 1977 and 1991-93, and force a real change in the ground rules. A new reality markedly better than the one preceding it. First, as promised, there’s the pesky lil’ problem of Gaza. Sure, Israel would love to cement the land-locked “free” West Bank and the blockaded Gaza Strip being totally and permanently separate, but it ain’t gonna hold: b) there’s too much connection between people in both places, and; b) even assuming the “Dafawis” (Palestinians from the WB) give up on their sea-side brethren, anyone thinking one of the most densely populated places on earth (the Gaza Strip, of course) can be kept forever under a boot like that without exploding is ignorant of the basic dynamics of the world. So as promised, not two but three different political entities: Israel, “Free Palestine” and blockaded Hamas-stan. I think that makes three. So the “Palestinian Problem” (remember when it was the Jewish Problem?) isn’t solved, it’s merely sliced a bit thinner and painted different. And in the spirit of “not gonna even,” I’ll forgo a long explanation about why land-locked, mineral-poor “Palestine” in the West Bank will not really be a “state” but always a glorified autonomy, unless and until it merges with Jordan in a post-Hashemite reality. So only one actual sovereign and viable state. So far, this was easy. The “Solution” part of the promised trifecta takes more words to explain. As we speak of improving relations between Israelis and Palestinians occupied since 1967, Israel is implementing a policy regarding some of its own Palestinian “equal citizens” that is unmatched in its aggression since the rough and tumble martial-law years of Israeli history’s early third of its history. I’m referring to the Prawer Plan, which calls for the removal of 30-40,000 Bedouins in Israel’s south, from one part of the Negev to the other — to be packed from dozens of small utterly rural types of dwellings into the seven shantytowns Israel created for the Bedouin population in the 1970s, where about half of all Bedouin citizens have since chosen to move. The other half prefer a more country style of living, and since they were already herded into a much denser area than their grandparents used to occupy before the establishment of Israel, they figure said state can and should just leave them be and recognize the few dozen little villages they’ve sorted themselves into since said herding by State. But the state says no. Although the Bedouins are 25-30 percent of the Negev’s population, and although the number of of villages (places smaller and less urban than a “town”) for Jews in the Negev is well over 50, the government will only tolerate 11 such for the Bedouin population – the 11 recently-recognized villages in the Abu Basme regional council. How recognized are these 11? Most still don’t have electricity or running water, and in some attempts to build even makeshift schools are met with SWAT teams and tear gas. The other several tens of thousands of Bedouin folk live in places slated for destruction and forced removal. 1) As stated above, Bedouins (a term roughly used here as equivalent to any non-Jewish, Arabic-speaking citizen living south of the Hebron-Gaza line) make up about a third of the Negev’s population. Despite this, they are already only allowed to live in a small corner of it, and have less than one half their proportionate municipal area. True, in the category “local municipalities” (places smaller than a city but densely populated and urban-to-suburban in nature) half are Bedouin. But there’s only one Bedouin city to more than 10 Jewish ones in that area and only 11 places, smaller and more thinly-populated than a town, for Bedouins compared to 70-80 for Jews. So we see that Israel is refusing to create or recognize places for this population (non-Jewish in the Negev) that are either seriously upwardly-mobile OR seriously back-country (i.e. less influential but living on more land per person). The places it does recognize for this population, it underserves and treats as a problem child at best. And guess what? Negev Bedouins have it better than most Arabs in Israel. For the Bedouins, Israel has created seven and recognized a further 11 new places to live since its founding. For the other 75-80 percent of its Arab population (about 15 percent of the total citizenry of Israel) it hasn’t even done that. Not a single new city, town or village for Arabs has been created by the State of Israel north of the Negev since its founding. There are no current plans to my knowledge to do so. You know how Israel in the past 15 years or so has added a condition to its terms for peace – recognizing it as a “Jewish State”? Israel managed to make peace with two of its four Arab neighbors without that particular language. It was simply recognized. But with the Palestinians, it has to be “recognize us as a Jewish state.” Now, please note that nowhere does Israel officially refer to itself internationally as a “Jewish State.” Egypt, for instance, is officially The Arab Republic of Egypt. By recognizing Egypt and agreeing to formal contact and non-hostile relations with it, you’re recognizing it as it presents itself – an Arab country. Israel did not choose to call itself The Jewish Republic of Israel. Nor has the government officially announced plans to do so, despite legislative initiatives on its right flank to define Israel as “the state of the Jewish people.” So what gives? After the “immense sacrifice” of giving up the West Bank (lots of territory, few actual people need to move, because, settlement blocs and land swaps and so on), the absolute last thing the Israeli electorate (the 75-80 percent of it that’s non-Arab) will be willing to hear is that it needs to be considerate of any more non-Jews. If Israel is willing to show this kind of aggression towards the part of the Arabic-speaking, non-Druze/Circassian citizenry that’s most willing to coexist within the state, even while dealing with pressure about the occupation and all, just imagine what it will be willing to do to Palestinians in the center and north of the country, who mostly don’t serve in the IDF (unlike most of the Bedouins, including the ones from “unrecognized villages,” who do), with a huge “get off my back, I just made historic, heart-wrenching concessions for these @#$%! people already!” card. Why do I say this? Again: This is happening even now, as Israel is already dealing with pressure over its treatment of millions of Palestinians who aren’t even enfranchised. About a third of the Jewish electorate (at least) already supports some kind of legislation to make it clear that Jewish citizens are more central to the state. That’s before being forced to make any kind of concessions in the sacred West Bank. How does this trend not intensify tenfold after that? Even if only, say, a few dozen thousand (out of 600,000 Jews living beyond the Green Line) need to be resettled, how does that not trump any and all needs of 10 times that many Arabs? Defiantly so? So we see that even if all of John Kerry’s dreams come true within the next year or two, we will only be switching a cessation of the discrimination and usurpation of roughly 40 percent of the total Palestinian population between the river and the sea, on roughly 20 percent of the land, for the increased oppression of the other 40 percent, over 78 percent of the land (the remaining being the “third state” in the Gaza Strip. some 20 percent on 2 percent of the land, staying screwed as per the status quo before this magical impending “deal”). In any event, the wound of 1948 finds no actual solution. The locus of the inflammation merely shifts. And this time, 25 years of progressively preparing the public opinion of the Jewish majority to accept the need for some sort of compromise will only serve as a backlash – equal force, opposite direction. But that’s okay. That’ll take a few more years to blow up. Neither President Obama nor Secretary Kerry will have to deal with that. Rick’s book, “Jewcy Story”, a popular history of the 2nd Temple Era, can be bought for Amazon Kindle, for cell phone or for PC here. Ali Baraka, the representative of Hamas in Lebanon, conferred on Tuesday with a delegation of the Lebanese “Umma” movement led by its leader Sheikh Abdulnasser Jabir on latest regional developments. They discussed conditions of Palestinian refugees in Lebanon and latest regional developments with special emphasis on the Palestine cause. 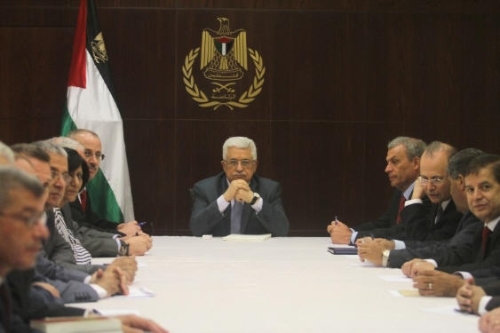 Both parties denounced the resumption of PA-Israeli talks, charging that the PA caved in to American pressures. They said that the talks posed as a cover up for Israeli occupation crimes especially Judaization of Jerusalem, settlement drive in the West Bank, and the blockade on Gaza Strip. Both parties called for ending internal Arab conflicts and for resorting to dialogue to solve problems so as to support the Nation’s unity and the resistance project. 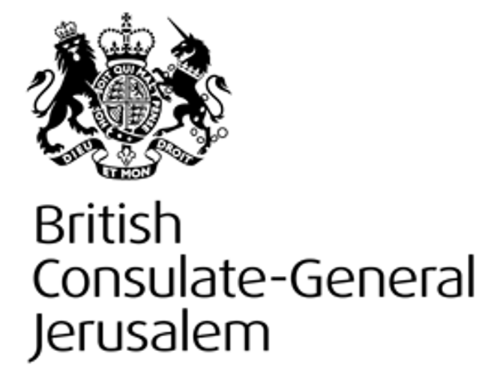 The FCO Director General for Political Affairs, Simon Gass, concluded a two day visit to the West Bank and Jerusalem, British Consulate-General in Jerusalem said in a press release Wednesday. Gass reiterated the UK's strong support for US efforts on the Middle East Peace Process. He praised the courage of leaders on both sides in resuming negotiations, and stressed that both sides must continue to show leadership to overcome the challenges ahead. During his visit, Simon Gass met Palestinian President Mahmoud Abbas at his office in Ramallah to discuss progress in the Middle East Peace Process. He also met Prime Minister Rami Hamdallah, Chief Negotiator Saeb Erekat, and senior Palestinian officials Hanan Ashrawi and Yasser Abed Rabbo. Gass said, "Peace in the Middle East remains a top priority for the British Government. I have been encouraged by the leadership of President Abbas in leading his people back to talks with Israel. The need for peace is both urgent and pressing." He added, " Secretary Kerry has the full support of the UK, and we will continue to do all that we can to ensure that talks are successful." In regards to recent reports on Israeli settlements, FCO Minister for Middle East Alistair Burt tweeted: "Concerned by inclusion of 91 settlements on #Israel's National Priority Area list. US-led efforts towards peace must be the priority"
"The resumption of talks has been possible because of the courageous leadership already shown by Prime Minister Netanyahu and President Abbas, as well as the commitment of negotiators on both sides. Determined leadership from the United States has also been critical and will remain so in the months to come. As President Obama and Secretary Kerry have set out, hard work and difficult choices lie ahead. We do not underestimate the challenges but firmly believe that if both parties continue to show bold leadership, peace is possible. It is also urgent: 2013 must be the decisive year for peace. Britain will do all it can to support the Israelis, Palestinians and the United States to achieve a two-state solution and the lasting peace that the people of the region deserve." He reiterated the UK’s strong support for US efforts on the Middle East peace process. During his visit, Gass met President Mahmoud Abbas at his office in Ramallah to discuss progress in the Middle East Peace Process. He also met Prime Minister Rami Hamdallah and PLO members Saeb Erekat, Hanan Ashrawi and Yasser Abed Rabbo. According to a new poll conducted by Israeli Democracy Institute 56% of the surveyed were opposed to Israeli withdrawal to pre 1967 ceasefire line. The poll also showed that 66% did not believe in a peace-agreement this year, and 67% were opposed to Palestinian refugees Right of Return, while 50% were opposed to that east Jerusalem neighborhoods could become a part of a Palestinian state. The poll made by the Israeli Democracy Institute (IDI) includes 603 test persons and showed alarmingly low numbers of support for future agreements supporting a Palestinian state. 66% of the requested said they did not believe in that the negotiations would reach a deal within next year. 56% were opposed to withdrawal to the pre 1967 ceasefire lines even if land swaps, allowing some of the illegal settlements to remain on Palestinian land, were carried out. Amongst the Jewish population the skepticism rose as high as 63%, whilst only 15% of the Israeli-Arab population opposed to the withdrawal. Also, 67% of polled persons were as well opposed to any deal that would allow the Palestinian refugees, displaced during the Nakba of 1948, to return to their homeland were Israel was created. The same group were also opposed to any form of financial compensation to the refugees or their families. 50% were against neighborhoods of eastern Jerusalem becoming a part of a future Palestinian state. 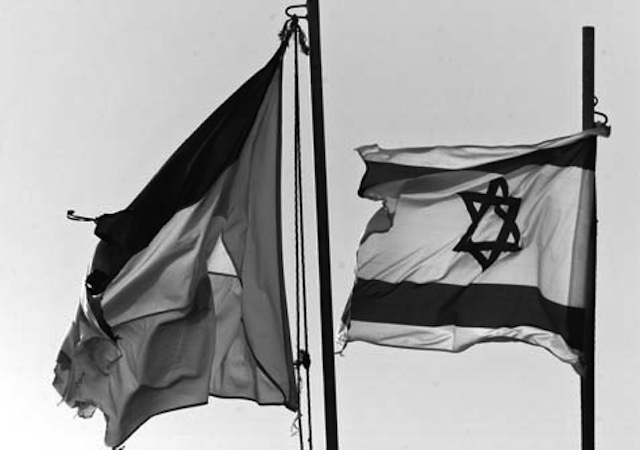 The attitudes opinions of Israelis are essential to a future agreement between Israel and Palestine, and these results highlight some of the numerous obstacles that remain before any “Peace talk” could possibly be fruitful. Most Israelis would oppose any peace deal with the Palestinians that involved withdrawing to pre-1967 ceasefire lines, even if landswaps were agreed to accommodate Jewish settlements, a poll showed on Tuesday. The survey by the liberal Israeli Democracy Institute (IDI) showed 65.6% of those questioned did not expect to see a deal in talks between Israel and the Palestinians within a year. The talks resumed last month after a three-year hiatus. US Secretary of State John Kerry has said he hopes a peace agreement that has eluded the parties for decades can be achieved within nine months. But even if the Israeli government managed to defy skeptics and secure an accord, the poll, jointly sponsored by Tel Aviv University, suggested it would struggle to sell it to its people. Of the 602 people questioned, 55.5% said they were against Israel agreeing to the 1967 lines, even if there were landswaps which would enable some Jewish settlements in the West Bank and East Jerusalem to remain part of Israel. Among Israel's majority Jewish population, opposition to such an agreement was 63%, while among Israeli Arabs, a minority group, only 15% objected to such a deal. The issue, which refers to the lines that existed before the Six Day War between Israel and its Arab neighbors, is considered key to sealing any deal. Some 67% of all Israelis said they would also oppose Palestinian demands for a return of even a small number of refugees who either fled or were driven away when Israel was created in 1948. They were also against compensating the refugees or their descendents financially. On one of the other issues facing negotiators, the question of whether Arab neighborhoods in Jerusalem should become part of a Palestinian state, some 50% of Israeli Jews said they were against the idea. Only 55% of Israeli Arabs were in favor, fewer than might be expected, suggesting Arab residents of east Jerusalem did not want to lose advantages of living under Israeli government control, such as health and national insurance benefits, the IDI said. After an opening round of talks in Washington a week ago, Israeli and Palestinian negotiators have agreed to meet again during the second week of August. Palestinian President Mahmoud Abbas is also facing an uphill task trying to sell the talks to his people, even within his Palestine Liberation Organization – an umbrella body that includes many leading political factions. In a statement on Tuesday, two groups – the Popular and the Democratic Fronts for the Liberation of Palestine – called for the talks to be suspended, denouncing them as "a repetition of pointless and harmful negotiations" held since the early 1990s. German daily Stuttgarter Zeitung published a caricature of Prime Minister Benjamin Netanyahu, as he poisons the dove of Middle East peace. 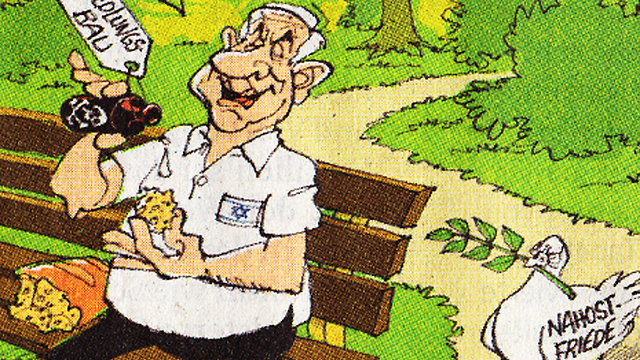 According to the drawing, the prime minister is spilling poison from a bottle marked "settlement construction" onto a piece of bread, as the dove stands next to him, holding an olive branch in its mouth. The Israeli embassy has reportedly delivered a letter to the daily's editor in chief, protesting the drawing. In early July, the Munich-based Süddeutsche Zeitung, a daily newspaper, published a caricature criticizing Germany's military aid to Israel. "Germany presents" the drawing's subheading read, elaborating: "For decades Israel receives arms, sometimes for free. Israel's detractors believe Israel to be a voracious Moloch. Peter Beinart condemns this situation." Beinart is a liberal Jewish professor and journalist known for his critical stance on Israel's treatment of Palestinians. A new opinion poll indicates that a great majority of Palestinians do not have confidence in the role played by the US in the Israel-Palestine talks. The survey, which was conducted by Gallup between May 21 and June 4, was based on face-to-face interviews with 1000 Palestinian and Israeli adults. Its results were released on July 26. The findings revealed that 74 percent of the participants disagreed with the acceptability of the solutions proposed by US president Barack Obama and US Secretary of State John Kerry. Only 12 percent of the respondents considered it as acceptable. When the participants were asked about their trust in Obama to help the process of Israel-Palestine talks, 66 percent expressed no confidence in him. On July 29, the Israelis returned to the negotiation table in Washington with the Palestinian Authority officials for direct talks for the first time in three years. Several Palestinian factions, including Hamas resistance movement and the Popular Front for the Liberation of Palestine (PFLP), condemned the resumption of talks. Hundreds of Palestinians also took to the streets of Ramallah and Gaza to protest against acting Palestinian Authority Chief Mahmoud Abbas' decision to restart talks with the Israeli regime. The last Palestinian-Israeli talks broke down in September 2010 after Tel Aviv refused to freeze its settlement activities in the occupied West Bank. The United Nations and most countries regard the Israeli settlements as illegal because the territories where the settlements are being constructed were captured by Israel in a war in 1967 and are therefore subject to the Geneva Conventions, which forbids construction on occupied lands. On July 29, 2013, those negotiations were resumed in Washington, D.C.; they are scheduled to begin in earnest in mid-August. President Barak Obama hailed them as a "promising step forward." However, in view of more than twenty years of failed U.S. – sponsored peace making, the new talks "promise" nothing more than being a new round of failure and "conflict management," in spite of Obama's belief that "peace is both possible and necessary." 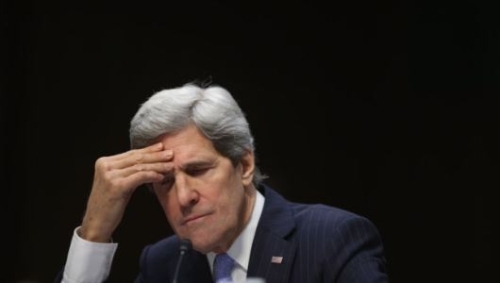 According to Albert Einstein, "doing the same thing over and over again and expecting different results" is "insanity," but that is exactly what John Kerry seems to have achieved after six tours of shuttle diplomacy in the Middle East since he was sworn in as the U.S. Secretary of State. Unless the issue of settlements is addressed in accordance with international and humanitarian law as well as in compliance with the resolutions of the United Nations, Kerry will be shooting himself in the legs and his success in his peace mission would be worse than his failure. The EU's recent anti-settlement move highlighted this fact. From U.S. and Israeli perspectives, "the resumption of negotiations is seen as an objective in itself," in the words of Ghassan al-Khatib, the former spokesman of the Palestinian Authority (PA). David Ignatius on August 2 described kerry's efforts as a "mission impossible," which if it fails "this time, it will cost the parties dearly;" he described the ensuing negotiations as "a kind of a benign trap, once the prey have been lured inside, it's difficult for them to escape without either accomplishing .. peace or damaging themselves." Indeed in the long run, success of the resumed negotiations warn of creating a political environment that would give "legitimacy" to a new Israeli military assault on the Gaza Strip to remove the "armed resistance" there to their outcome, with the overt blessing of the U,S. sponsor of the negotiations and the discreet blessing of the Arab "peace partners." However, the expected failure of kerry's efforts could be worse than the failure of the Camp David summit meeting in September 2000 of late Palestinian leader Yasser Arafat, former Israeli prime minister Ehud Barak and U.S. former president Bill Clinton. Abbas has already antagonized his old allies among the members of the Palestine Liberation Organization (PLO) - including the Popular Front for the Liberation of Palestine (PFLP), which is considered the third influential Palestinian power after the two rivals of Fatah and Hamas - who accuse him of reneging on their consensus not to resume negotiations without a stop to the expansion of Israeli colonial settlements first. His decision put on hold as well any Palestinian new attempt to join international organizations to build on the UN General Assembly's recognition of Palestine as a non-member state in September 2012. The new talks are merely "the beginning of the beginning" of "a long process" in which "there is no guarantee" for success, according to former U.S. Secretary of State Madeleine Albright. All this boils down to winning Israel more time to dictate whatever borders it deems "secured," by creating more facts on the OPT. For Palestinians, this is a waste of time that makes their dream of a national homeland in an independent state more remote. No surprise then the Israeli premier Benjamin Netanyahu on July 27 saw in the resumption of negotiations "a vital strategic interest of the state of Israel." Kerry's personal success seems to have pressured Palestinians into being fooled again into jumping to "final status" negotiations as the best way to absolve Israel from honoring its commitments in compliance with the "interim" accords it had signed with the PLO. The Palestinian wide –spread opposition to the resumption of talks is accusing Abbas of being a "believer" in peace who is about to get "stung from the same hole twice," in reference to the bloody outcome of the U.S. – hosted Camp David summit in September 2000. Then, the U.S. administration of Clinton pressured Arafat into "final status" negotiations. Barak, then the Israeli prime minister, found in the Camp David final status talks a golden pretext not to implement the third stage of the Oslo accords, namely to withdraw the Israeli Occupation Forces (IOF) from about 95% of the West Bank (WB) area and hand it over to the PA. Linking the WB and Gaza by a "corridor" that allows free movement of people and goods between them was another commitment that has yet to be honored by Israel. "Trying" and failing is better than "doing nothing," Kerry said, but the failure of the Camp David trilateral summit led to the second Palestinian Intifada (uprising); ever since both the failure and the uprising were additional pretexts for the successive Israeli governments not to honor both commitments; moreover, both pretexts were the justification they used to reoccupy militarily all the PA areas and to coordinate with the U.S. the "removal" of Arafat and the "change" of his regime. The critical issue of the illegal Israeli colonial settlements on the WB will make or break the new Kerry – sponsored talks. On July 29, James M. Wall wrote: "Israel plays the peace process game not to give away ill-gotten gains, but to protect them;" settlements come on top of those "gains;" they were "gained" under the umbrella of the "peace process," with the tacit blessing of the well - intentioned Palestinian negotiator who did not make their removal a precondition to the resumption of peace talks right from the start. The 2000 summit collapsed because of the Israeli insistence on continued building of colonial settlements, especially in eastern Jerusalem, which doomed to failure the peace process launched in Madrid in 1991. kerry's resumed negotiations opened while the settlement expansion continues unabated. Now Abbas seems too late to rectify this grave mistake. 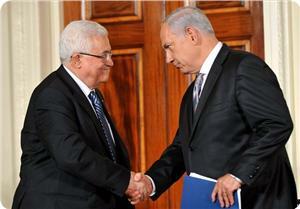 No surprise the failure of the negotiations seems inevitable and will only revive the Palestinian – Israeli stalemate. Israel's 2013 Herzliya Assessment concluded: "The status-quo in the Palestinian territories is not sustainable, and definitely not durable... the continuation of the Israeli-Palestinian stalemate is untenable. 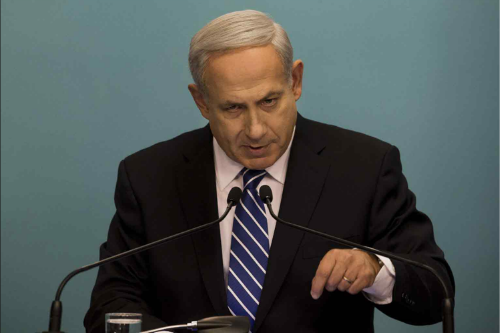 It will lead to a Palestinian mass public uprising with sporadic violence." 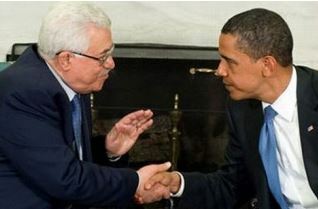 Obama appealed to the negotiators to "approach these talks in good faith," but the Secretary General of the PLO Executive Committee, Yasser Abed Rabbo, questioned the "good faith" of the U.S. and Israel who were "conferring about security" without the Palestinians, as if it was "their bilateral security," although security is "a central and fundamental issue of ours and concerns our future as a whole." Abed Rabbo's Israeli partner in the Geneva Initiative, former cabinet minister Yossi Beilin, writing in The Jerusalem post on July 30, questioned the "good faith" of Netanyahu who "has reneged on all that he has said throughout his political career." "The Israeli Occupation Municipality, along with the Israeli Housing Ministry in Jerusalem, have reaffirmed their commitment to colonization by trying to sabotage civilized attempts to achieve a two-state solution" said Chief Palestinian Negotiator Dr. Saeb Erekat, referring to the recently announced project to build a new Israeli settlement in Jabal Moukabber, southern Jerusalem. The settlement, consisting of 63 settlement units, will be built on land confiscated from the people of Jabal Moukabber and Eam Laisun. "Some people in Israel continue to believe that the endgame for negotiations should not be peace but rather, further colonization. We call upon all parties that had vigorously advocated for the resumption of negotiations to do whatever is needed to block and to punish the latest decisions made by the Israeli government and the Occupation Municipality in Jerusalem." said Dr. Erekat. Dr. Erekat concluded that "we hope that the Israeli government understands that their impunity is evaporating and that it is in Israel's interest to go for justice and peace rather settlements and Apartheid. Settlement construction shows a lack of seriousness towards the idea of a Palestine and Israel living side by side in peace and security. We will be contacting different members within the international community in order to make clear to those who are trying to sabotage our efforts that settlement construction has a price and that this price will continue to grow." Israel wants to abort the negotiations that started only one week ago with its settlement activities, Yasser Abed Rabbo, secretary of Palestine Liberation Organization, said on Voice of Palestine on Wednesday. He expressed concern that the Israeli government was using the negotiations as a cover for its settlement activities following a decision to build a new settlement in East Jerusalem. Abed Rabbo warned that the Israeli government is doing everything it can to abort the talks that started last week in Washington. “It will be impossible to have a political process while there are extensive efforts to create facts on the ground that will prejudge the outcome of the negotiations,” he said. “We cannot be victims of this big deception called negotiations with this ongoing mad settlement activity,” he said. 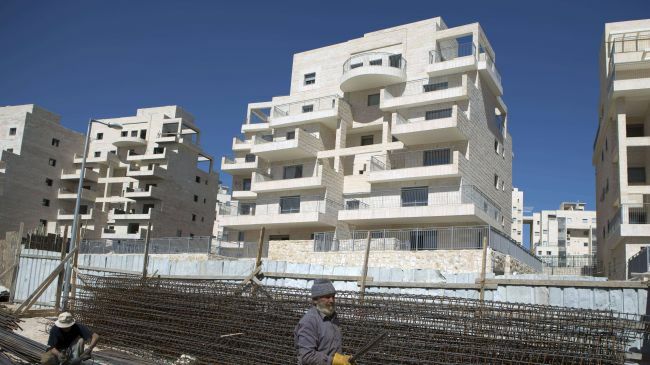 Israeli sources have reported Tuesday that Jerusalem City Council head, Nir Barkat, and Israeli Housing Minister, Uri Ariel, intend to place the cornerstone of a new settlement, in Jabal Al-Mokabbir, south of occupied East Jerusalem. The sources said that the new settlement will be dedicated this coming Sunday, and will include dozens of units for Jewish settlers. Palestinian researcher, specialized in settlements affairs, Ahmad Sob-Laban, stated that the Israeli “Construction and Planning Committee” authorized, on July 29, the construction of the new settlement in Jerusalem. He added that the plan aims at building 63 units in three buildings, located close to a kindergarten in Jabal Al-Mokabbir. The researcher said that this would be the second settlement to be built in the heart of Jabal Al-Mokabbir, as the first is called Nof Ezion, and added that Israel also illegally confiscated lands in Jabal Al-Mokabbir and Sur Baher to build the Armona Natzif settlement, west of the town. “This is an old plan that was approved in 2008, a license to build foundations, parking lots, and infrastructure was granted”, Sob-Laban said, “The new issue here is authorizing new constructions for the settlement in the twon”. He further stated that an Israeli company, known as Yumnah, is connected to financing and building various outposts in the heart of Arab neighborhoods in occupied East Jerusalem. Palestinian Authority leaders are expected to meet in Ramallah on Tuesday to assess the outcome of the first session of the peace talks, which took place in Washington last week between Palestinians and Israeli negotiators and to discuss preparations for the second round of talks with Israel, scheduled for August 14 in Jerusalem. Nabil Shaath, member of the Fatah Central Committee, voiced skepticism regarding the prospects of achieving a deal because Israel is proceeding with the construction of settlements, which go against the 1967 borders. Tayseer Khaled member of the PLO Executive Committee, told PNN that the PA leadership committed a “big mistake” by agreeing to return to the negotiating table without a freeze of settlement construction. PLO Secretary-General Yasser Abed Rabbo told the Voice of Palestine radio station that the negotiations were doomed to fail unless Israel stopped plans to build new homes in settlements and east Jerusalem. It is apparent that Palestinians are determined to stick to their demand that the negotiations with Israel be conducted on the basis of the pre-1967 lines. 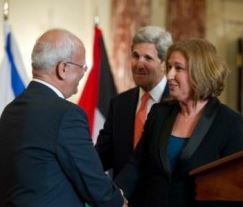 The processes are scheduled to begin with the four-stage release of prisoners, who were jailed before the Oslo Accords. The first stage is scheduled to release 26 prisoners on August 13. 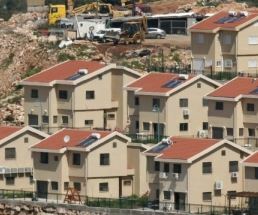 The Israeli occupation authority (IOA) has endorsed the construction of new settlement units in occupied Jerusalem. 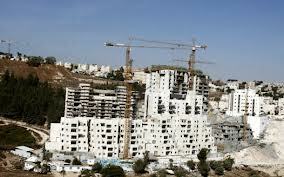 Hebrew daily Ha’aretz on Tuesday quoted minister of economy Naftali Bennett as saying that the government was intent on resuming construction of settlement units especially in Jerusalem. He said that his party would not endorse any government decision to freeze construction of settlements in the West Bank and Jerusalem. Bennett said that tenders would be put out within the few coming days for the construction of new housing units in Jerusalem and in other areas. He also denied press reports that his party had agreed to the release of 104 Palestinian prisoners as a goodwill gesture to coincide with the re-launching of negotiations with the Palestinians. Dr. Ashrawi: "There Will Never Be a Contiguous Palestinian State As Long As Settlements Remain intact"
PLO Executive Committee member Dr. Hanan Ashrawi met on Monday with Sir Simon Gass, Political Director and the UK Prime Minister's Special Representative for Afghanistan and Pakistan, as well as representatives from the British Consulate and DFID, PLO Executive Committee said in a press release. 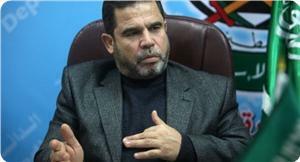 In the meeting, Dr. Ashrawi stressed, "The facts on the ground speak for themselves. There will never be a contiguous Palestinian state as long as settlements remain intact. The Palestinian position has been constant: all settlements and outposts are illegal under international law." She added, "Extreme right-wing officials have hijacked the Israeli political agenda which serves the settlers at the expense of peace. They are responsible for the emergence of the language and culture of hate, racism and violence in Israel." "Israel is not used to paying a price or to being held accountable for its military occupation of Palestine and its persistent violations. If U.S. Secretary of State John Kerry's peace initiative is to succeed then Israel much comply with international law and conventions, particularly in the case of the 1967 borders, Jerusalem and Palestinian refugees," concluded Dr. Ashrawi. 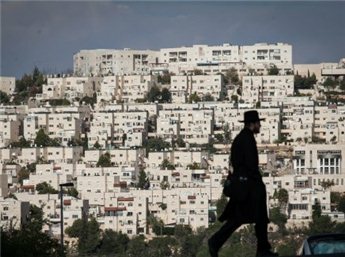 The French Foreign Ministry strongly denounced an Israeli decision, made on Sunday August 4, to add 20 settlements, including four isolated settlement outposts, to its national priority fund as part of a plan to develop what was dubbed as “cities” that receive a priority funding and attention. 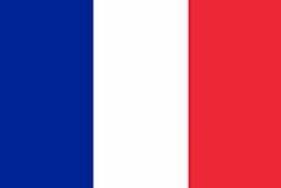 France said that the number of settlements placed on this national priority fund has significantly increased from an earlier list of settlements published in 2009. "This figure has increased in relation to the preceding list of priority localities announced by Tel Aviv in 2009”, The French Foreign Ministry stated, “The list includes isolated settlements in the West bank; this damages the prospects of a future peace accord”. 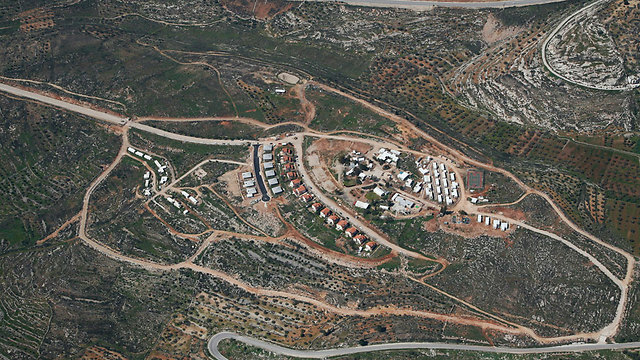 The settlements include isolated illegal settlement outposts in the occupied West Bank. The French Government said that Israel’s settlement activities obstruct the efforts to achieve the desired final status peace agreement between Israel and the Palestinians, based on the two-state solution. It added that settlements are illegal under International Law, and are a main obstacle to the two-state solution, and stressed on the importance of resuming and maintaining direct peace talks by refraining from any unilateral moves that jeopardize the future peace talks. The Popular Committee against the Wall and Settlements in Hebron have reported that Israel approved the construction of 230 units in the Ma’on illegal settlement, built on Palestinian lands east of Yatta town, near the southern West Bank city of Hebron. Rateb Jabour, Coordinator of the Popular Committee, told the Radio Bethlehem 2000 that Israel plans to illegally confiscate nearly 4000 Dunams of Palestinian lands that belong to the families of Ash-Sha’abeen, Roomy, Abu Sabha, Ash-Shawaheen, al-Hathaleen, and Shinraan. The lands in question are located in the local communities of Um Al-Kheir, Um Hatba, and Khalayel Az-Zattoun. Jabour added that Israel plans to start the construction in 60 days. Israeli settlements in occupied Palestine, including in occupied Jerusalem, are built in direct violation of the International Law and the Fourth Geneva Convention. The West Bank and East Jerusalem are considered occupied territories under International Law and all related United Nations and Security Council resolutions. Under Article 49 of the 1949 Geneva Convention (IV) Relative to the Protection of Civilian Persons in Time of War, all Israeli settlement activities constitute a violation of international humanitarian law, the Palestinian Center for Human Rights (PCHR) reported. The recently resumed direct talks between Tel Aviv and Ramallah are facing various obstacles that could topple all international efforts to resume and maintain talks meant to achieve a final-status peace agreement. 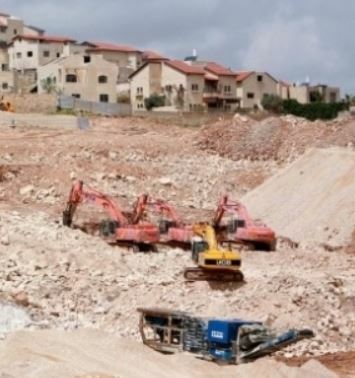 Israel insists in continuing its illegal settlement construction and expansion activities in the occupied territories, including in and around occupied East Jerusalem. Israel’s settlements and its Annexation Wall have isolated the Palestinian communities from each other, and isolated the villagers from their lands and orchards. Other vital issues that obstruct talks are Israel refusal to recognize the internationally guaranteed Right of Return of the Palestinian refugees, its rejection to talks on borders, natural resources, and its rejection to a full withdrawal from all territories it illegally captured in 1967, including Jerusalem. Hanan Ashrawi, who serves on the Palestinian Legislative Council, spoke with passion and great insight about her hopes for the peace negotiations with Israel in a CNN interview earlier today. And, “I believe Israel should have stopped all settlement activities in order to demonstrate that it respects the two-state solution actively, not just through lip service” she added, referencing Israel’s continued endorsement of settlements. The popular front for the liberation of Palestine (PFLP) warned that the Palestinian authority (PA) is about to plunge into a serious disaster as a result of its engagement in talks with the Israelis under US pressures. Senior PFLP official Jamil Mazhar stated on Sunday that the PA negotiators are on the verge of embroiling the Palestinian people in a second Oslo agreement that would destroy the Palestinian national project through making serious concessions on the national constants and rights. 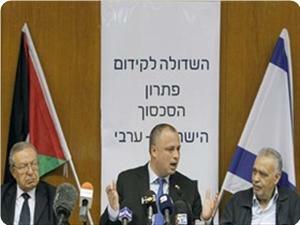 Mazhar expressed his belief that the PA leadership was lured into resuming its talks with the Israeli occupation regime. He added that the resumption of the peace negotiation according to the Zio-American conditions served like a life buoy for the Israeli occupation state and the US administration, which seeks to maintain its regional agenda and vision and makes achievements at the expense of the Palestinian constants and rights. The Israeli occupation authority (IOA) is planning to build 60 new settlement units in Yatta, south of Al-Khalil province. Ratib Al-Jabour, an anti-settlement activist in Yatta, told the PIC that Israeli occupation forces quelled Palestinians who tried to enter their land in Um Al-Khair hamlet. He said that the soldiers showed those citizens photos of a new settlement plan that envisages the construction of more than 60 settlement units that would be built on their land. The IOA had endorsed a scheme a few years ago that stipulated the demolition of eight villages and hamlets near Yatta town to pave the way for the expansion of Jewish settlements. 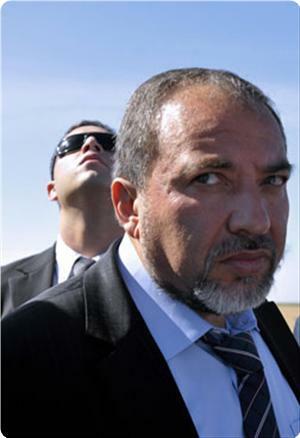 Avigdor Lieberman, the former Israeli foreign minister, ruled out the possibility of reaching a political settlement with the Palestinians, affirming that the negotiations would be confined to limited security and economic agreements. In an interview posted Sunday on the website of the 10th Israeli channel, Lieberman said that the Israeli and Palestinian sides had conducted rounds of negotiations over the past years, but to no avail. He added that it would be impossible to reach a political settlement with the Palestinians after all these years of negotiations. Commenting on the Israeli government's decision to release prisoners as a goodwill gesture towards the peace process, Lieberman, who opposes the idea, said that he gave his party Yisrael Beiteinu the freedom to vote in this regard and refrained from exposing its ministers to pressures. As for the European union's decision to boycott Israeli settlements, he stated that Israel would move internationally and diplomatically against the European union and force it to reverse its decision. 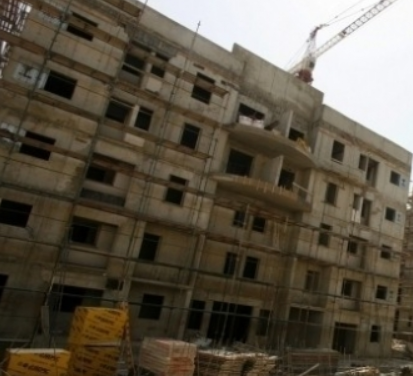 The mayors of Ramat Hasharon, Hod Hasharon and Herzliya announced at a press conference on Monday their opposition to government plans to build thousands of housing units on shared territory the size of 7,000 dunam and belonging to the military industries. The three suggested instead the construction of a park for the benefit of all citizens. Mayors Itzik Rochberger, Yehonatan Yas'ur, and Hai Adev said, "We have a historic responsibility to future generations and we will not agree that the region become one concrete block." Israeli Prime Minister Benjamin Netanyahu and some other Israelis want neither one-state solution nor two-state solution for Palestine rather they want a no-state solution, political analyst Hamid Golpira says. Golpira made the remarks in an interview with Press TV on International Quds Day, which is the last Friday of the holy month of Ramadan. "Two-state solution, if it could happen in a proper way, even could be an acceptable thing for the people who want a one-state solution in the future. 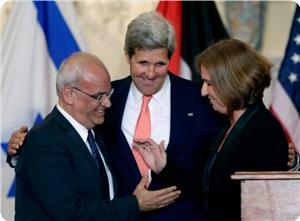 They could see it... one step towards a one-state solution,” Golpira said. “If they want to say this piece is separated and that piece is separated; certain sovereignty does not exist; this country cannot have an army, East Jerusalem (al-Quds) does not belong there. You could say that this proposal is a no-state solution, which is totally not acceptable in every way. So, the no-state solution is not acceptable,” he went on to say. “And maybe soon all of the Jerusalem will be one capital of the one united Palestine in a one state-solution, which is what some people are working for to have a one-state solution through referendum of all the people, including the diaspora of Palestinians if they are allowed to return -- then the Palestinians are much in the majority. Maybe that cannot happen really soon but it could happen fairly soon -- it could happen one day. 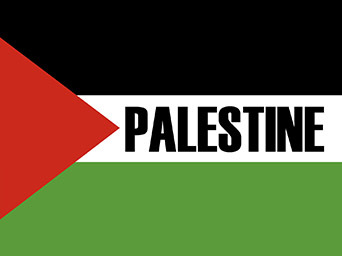 There will be justice for Palestine in the future if not in the near future, but in the future it will happen,” he noted. Millions of Muslims across the world held demonstrations on Friday to express solidarity with the Palestinian people and condemn the crimes committed by the Israeli regime. In 1979, the late Imam Khomeini, the founder of the Islamic Republic of Iran, designated the last Friday of the lunar month of Ramadan as International Quds Day and advised Muslims across the world to commemorate the day by holding demonstrations and marches to express solidarity with the people of Palestine and their liberation struggle. This article was orginally posted by PressTV. View orignial article here. [Sunday August 4, 2013] Israeli Minister, Silvan Shalom, alleged that the Palestinian Authority (P.A.) in the occupied West Bank rejected an Israeli “offer” to freeze construction activities in settlements located outside of settlement blocs, and said that the P.A. 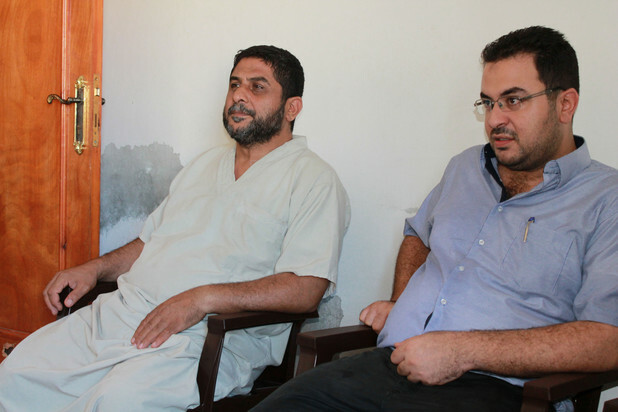 insisted on the release of Palestinian political prisoners. Talking to the Israeli Radio, Shalom said that the offer was presented by Israeli Prime Minister, Benjamin Netanyahu, but was directly rejected by the P.A. The Israeli Minister claimed that the decision to release Palestinian political prisoners was “very difficult”, and that the stances of the United States, the mediator of direct political talks, and the new situation in the region, gave Israel no other options. He said that Israel offered a freeze, not a full stop, of settlement construction and expansion activities, in settlements in the occupied West Bank, excluding settlement blocs such as Ariel, Ma’ale Adumim and Gush Etzion. Israel will be releasing Palestinian detainees who have been imprisoned since before the first Oslo Peace Agreement of 1993, on several stages, starting next week. According to Israel, the release depends on the “progress” in direct talks between Israel and the Palestinians. Various Palestinian officials stated that Israel is using its illegal settlement activities as a bargaining chip in order to oblige the Palestinians to adhere to its preconditions. Palestinian Presidency Spokesperson, Nabil Abu Rodeina, stated that the Israeli government of Benjamin Netanyahu is ongoing with its violations and illegal settlement activities, and is obstructing U.S. efforts to resume direct peace talks. His statements came responding to an Israeli decision to add 20 more settlements, and occupied Jerusalem, to its development plan. “We denounce this Israeli decision, we denounce the Israeli policies obstructing peace”, Abu Rodeina said, “Tel Aviv is obstructing the American efforts to achieve peace in the Middle East”. He also stated that all of Israel’s settlement activities in occupied Palestine, including in occupied Jerusalem, are illegitimate under International law regardless of what decisions Israel makes. “Nothing can change this fact, settlements are illegal and illegitimate”, the Palestinian official said. On Sunday, August 04, 2013, and approved a plan meant for developing “Israeli cities and towns of a high national priority”. The Israeli decision includes putting 91 Jewish settlements in the occupied territories on a what is called a “national priority fund”. The decision comes just as direct political talks between Israel and the Palestinians have resumed under direct American mediation. The second round of talks is scheduled to be held on August 14. Areas that have the national priority status are around 700 communities, including border towns and settlements that require extra funds that exceed the regular normal budget. They are located near the border with Lebanon, across the border with Egypt in the south and 91 settlements in the occupied West Bank. All settlements are illegal International Law, and violate the Fourth Geneva Convention to which Israel is a signatory. Dr. Ashrawi: "The Israeli Government has Approved a Confidence Destruction Measure"
"The Israeli government has approved a confidence destruction measure," said PLO Executive Committee Member Dr. Hanan Ashrawi referring to the Israeli government decision to include 90 illegal Israeli settlements in the list of "national priority areas," 20 of them new Israeli settlements. PLO Department of Culture and Information revealed Sunday that such settlements will receive added benefits from the state, giving further incentives for Israeli settlers to remain inside the Occupied State of Palestine. "At a moment when the international community has made great efforts to foster a resumption of negotiations between Palestine and Israel, the Israeli cabinet has approved a plan that further incentivizes illegal settlement in the occupied State of Palestine." 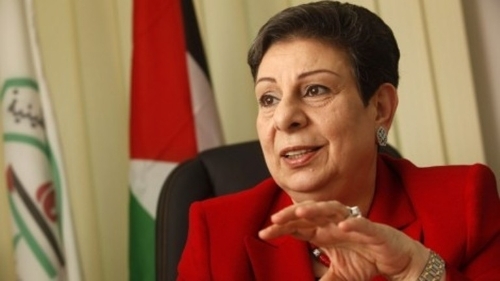 Dr. Ashrawi continued, "While Palestine has cooperated with international efforts to seek a two-state solution on the 1967 border, Israel is responding once again by destroying the 1967 border and violating international law." 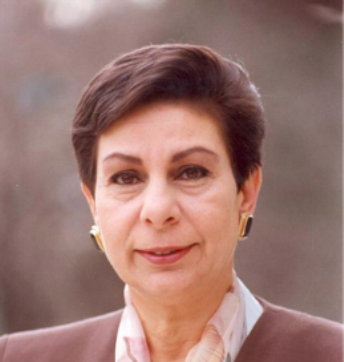 Dr. Ashrawi said. "Israeli attempts to grab more Palestinian land and to provide settlers with preferential treatment will not be tolerated." "Such criminal acts must be met with strong international action. It must be made clear to Israel that negotiations are about peacefully ending the occupation that began in 1967, and that Israel may not use the protective cover of negotiations as a means to pre-empt their outcome or as a means to persist in acting with impunity in further entrenching its illegal practices." Dr. Ashrawi concluded. The Israeli government on Sunday added 20 illegal settlements in the occupied West Bank to a list drawn up in 2009 of communities prioritized for aid. Hundreds of communities in the occupied Palestinian territory figure on the list for public aid in housing, infrastructure, education, cultural activities and security spending. The settlements added to the priority list include communities outside the main blocks over which Israel aims to keep control under any peace settlement with the Palestinians, said Haaretz newspaper. It said most of them are strongholds of Jewish Home, a nationalist party in the coalition government of Prime Minister Benjamin Netanyahu, who refused to declare a freeze on settlement construction as demanded by the Palestinians as a condition for a renewal of peace talks. Talks resumed in Washington last week after a three-year hiatus. The government on Sunday approved the new national priority list. A record number of 90 settlements were included in a list of more than 600 towns and communities eligible for state benefits, among them several new settlements once considered illegal. Beitar Illit, a large haredi settlement, was not on the list. During the meeting, an argument broke out between Justice Minister Tzipi Livni and Economy Minister Naftali Bennett. Livni asserted that "dangerous" communities should not be put on the list and Bennett replied, "It's lucky that the founders of Hanita (a kibbutz in the western Galilee) were not of the same opinion. "Driving in Judea and Samaria is indeed dangerous but many things are dangerous. We should keep encouraging construction in Judea and Samaria." The list passed the government vote without opposition, but four ministers abstained: Hatnua 's Livni and Amir Peretz and Yesh Atid 's Yael German and Yaakov Peri. "This is political, not national priority which goes against efforts to promote peace," Peretz said. "It's unacceptable that struggling cities like Kiryat Gat and Kiryat Malachi are out of the list because they're close to the center while settlements that were illegal not so long ago are added under the security threat clause." 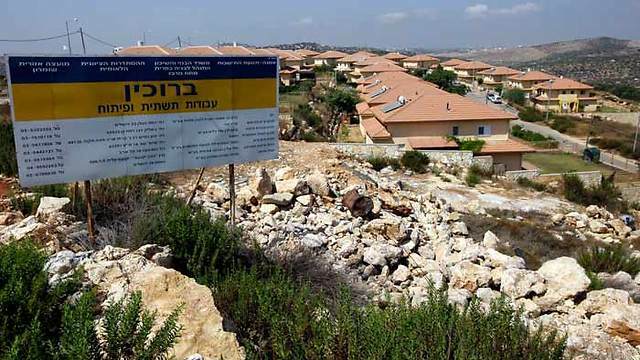 The State legalized the status of four settlements in the past year – Negohot and Sansana in south Mount Hebron and Rechelim and Bruchin in the West Bank. Towns on the national priority list are eligible for various grants and receive aid in development schemes. However, funding for infrastructure and housing beyond the West Bank requires a special decree by the prime minister, to avoid any diplomatic embarrassment. Towns on the list will get government funding for 30% of the cost of hotels and other tourist ventures, as well as reduced costs for housing and infrastructure and aid in culture and environmental projects. The State invests tens of millions of shekels in total. 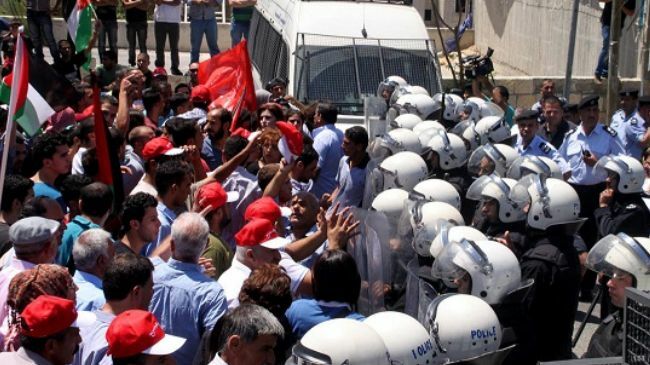 Local authorities engage in heavy campaigning to get on the list which is determined by year of establishment, proximity to the periphery, and security hazard. 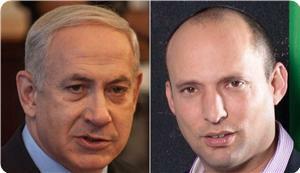 The Hebrew media revealed a deal between Israeli premier Benjamin Netanyahu and Naftali Bennett, leader of the Jewish Home party, to expand settlement activities in exchange for the latter's support for the release of Palestinian prisoners as a goodwill gesture towards the peace process. The deal took place after Bennett had threatened to withdraw his far-right Zionist party from the government coalition if the government agrees to hold negotiations around the 1967 borders and release Palestinian prisoners. 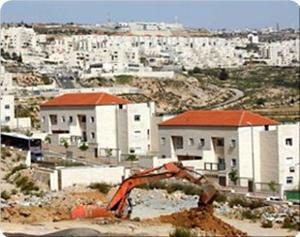 The deal includes a pledge from Netanyahu to build 5,000 settlement units in the West Bank. The Hebrew media also reported that the Labor party's Knesset member Merav Michaeli had asked the legal advisor to the government to investigate the deal. She expressed her strong opposition to the deal and said that such deals must not be struck in exchange for settlement construction. 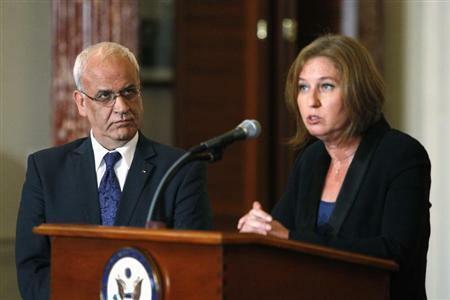 Chief Palestinian Negotiator, Dr. Saeb Erekat, stated Saturday [August 3, 2013] that the Palestinian Authority (P.A.) will not accept transitional solutions to the conflict, and is acting on negotiating on all final status issues. The official added that the files of Jerusalem, the Refugees, Settlements and Water are high priorities to the Palestinians. He said that the Palestinian leadership in the occupied West Bank has informed the United States and Israel that all issues must be discussed, so that a comprehensive agreement can be reached. 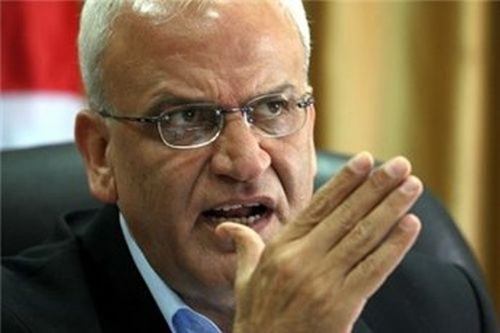 Erekat denied reports on secrete committees negotiating with Tel Aviv, saying that the talks are all in the open under direct U.S. supervision. He further stated that Israel intends to release 26 detainees on August 13, marking the first phase of releasing dozens of detainees, and added that Tel Aviv has cleared those detainees for release. Erekat said that the detainees Israel agreed to release all "old detainees" who have been imprisoned since before the Oslo Agreement of 1993, and added that Israel refused to release them all at once, but instead agreed to release them on four stages. Furthermore, head of the Israeli negotiations team, Israeli Justice Minister, Tzipi Livni, stated on Friday at night that the second round of direct talks with the Palestinians is scheduled for August 14. In addition, Palestinian Foreign Minister, Riyadh Al-Maliki, stated that the direct talks will be held in Jerusalem and Jericho. Despite various reports of positive atmosphere of the renewed direct talks, various core issues could jeopardize the future of these talks, mainly Israel’s illegal settlement construction and expansion activities, the issue of Jerusalem, the Right of Return of the Palestinian refugees, borders and natural resources. Members of Congress have introduced legislation that would transfer the US Embassy in Israel to Jerusalem, sending a message of commitment and resolve to Israel and also presenting the US government with a cost-saving measure at a time of major budget cuts. The bipartisan bill, known as the Recognition of Jerusalem as the Capital of the State of Israel Act (H.R. 2846), comes as Israelis and Palestinians are resuming peace negotiations after a three-year hiatus, and is intended to offer an unflinching sign of support on Capitol Hill for Jerusalem as Israel’s undivided capital. The bill, which is being sponsored by Representatives Trent Franks (AZ-08), Brad Sherman (CA-30), Doug Lamborn (CO-05), Gene Green (TX-29), Juan Vargas (CA-51), is now being circulated among members of Congress. The initiative is unique because it recommends that the United States government either repurpose the current Embassy property in Tel Aviv to a consulate, or sell the property, which has the potential to garner an estimated hundred million dollars at market value. "The United States was the first nation to recognize Israel's sovereignty, a mere 11 minutes after the new state was formed in 1948. Today, 65 years later, Israel remains a uniquely precious ally. Just as the United States has assisted the Jewish people in restoring their ancient state, it is only fitting that we lead the way in recognizing Jerusalem for what it is: the undivided, eternal capital of Israel," said Congressman Tent Franks. “It is long overdue for the US government to relocate our embassy to Israel’s capital, Jerusalem,” said Congressman Brad Sherman. “Congress overwhelmingly passed legislation to move the US embassy to Jerusalem in 1995. It is time to follow through on our commitment.” “For historical, biblical and moral reasons, we are committed to the unity of Jerusalem as Israel's undivided capital with no waivers and no caveats," said Congressman Doug Lamborn. "Our unflinching support is especially crucial at this critical hour of turbulence throughout the region." “I am proud to be an original co-sponsor of the Recognition of Jerusalem as the Capital of the State of Israel Act. I voted for the Jerusalem Embassy Act in 1995, which called for the American Embassy to be moved to Jerusalem, and this new legislation will assure that the intent of the 1995 law is finally fulfilled," Congressman Gene Green. “As an ardent supporter of our greatest ally in the region, I believe that transferring our embassy from Tel Aviv to Jerusalem will reaffirm our commitment to the state of Israel,” said Congressman Juan Vargas. “As a continuation of over 3,000 years of Jewish history, Jerusalem must remain the undivided and eternal capital of Israel." Successive US administrations including Presidents Clinton,Bush and Obama have repeatedly used the presidential waiver to delay moving the US Embassy from Tel Aviv to Jerusalem, in accordance with a 1995 law which authorized the embassy's relocation but which gave the president the power to postpone its implementation every six months. The Popular Front for the Liberation of Palestine (PFLP) condemned the organization of an Iftar banquet by Palestinian and Israeli youth groups in Ramallah in support of talks’ resumption. The PFL charged in a statement on Saturday that the banquet came in flagrant provocation to the Palestinian people's feelings and in violation to the Islamic religious norms and the Palestinian constants. The statement called on popular forces to stand firmly against normalization and its serious implications. Israeli media outlets have revealed the holding of an Iftar banquet that brought together 40 Palestinian and Israeli youths on Wednesday in Ramallah in support of the resumption of negotiations between the Palestinian Authority and Israel under US auspices. Senior Hamas official Salah Al-Bardawil belittled the US-sponsored talks between the Palestinian Authority (PA) and the Israeli occupation regime and described them as frivolous and prospectless. In a press statement to Quds Press, Bardawil expressed his dismay and regret at the PA's decision to engage in talks with an Israeli delegation led by former minister of foreign affairs Tzipi Livni, the mastermind of the 2009 Gaza war. He said that Hamas sees the PA's negotiation with the Israeli side as chasing a mirage and a failed attempt to exploit the situation resulting from the new opposite wave in some countries of the Arab Spring. He expressed his belief that the PA negotiators would find out in the end that the Israelis would give them nothing and would not make any concessions, and called on the PA to stop wasting time and wagering on the peace process to restore the usurped Palestinian rights. Iran’s ambassador to Damascus says the US-backed negotiations between the Palestinian Authority and Israel are doomed to failure as Tel Aviv refuses to accept Palestinians’ demands. “This is not the first time these negotiations are taking place, and each time such action was taken, it was practically ineffective,” Mohammad Reza Raouf Sheibani said on Friday. “The existential foundations of the Zionist regime (Israel) are based on occupation, aggression and attacking neighboring countries and other nations, and that’s why this round of negotiations is assessed as a failure before it starts,” the Iranian envoy pointed out. On July 29, the Israelis returned to the negotiating table in Washington with the Palestinian Authority officials for direct talks for the first time in three years. Israeli Justice Minister, Tzipi Livni, stated that the next round of direct peace talks with the Palestinian Authority (P.A) will be held in Israel in the second week of this month, and added that the first group of Palestinian detainees will be released by then. Livni told the Israeli TV Channel 10 that Israel and the P.A agreed to hold talks in different locations starting in Tel Aviv. She added that Israel will release some detainees soon, but did not specify more details or an exact date. She only stated that the case of each detainee to be released would be separately examined before a final decision is made and implemented. “My personal impression is that the Palestinian side did not start talks with the intent to blame Israel”, Livni said, “They sat with us relatively knowing the outcome of these talks”. Talking to Israeli daily Yedioth Aharonoth following the first round of talks in Washington, Livni said that, despite serious talks, there are various difficulties and obstacles that will eventually accumulate, and added that she does not believe that “there will be a new Middle East”. She also said that it is also very important to hold talks with the Palestinians without the presence of the American mediators. “Talks will continue in the second week of August with the intension to end the conflict”, the Israeli Justice Minister stated, “All issues, and subjects, are now on the table”. Twelve persons — including ten members of one family — were killed when Israel bombed a three-story home in Gaza in November 2012. “What’s the meaning of negotiations if we are still killed by missiles from Israeli F-16s and Apaches?” he added. “What’s the meaning of negotiations if the Israelis keep stealing our land, our heritage and everything meaningful in our lives? What’s the meaning of negotiations if they besiege our land, sea and sky? 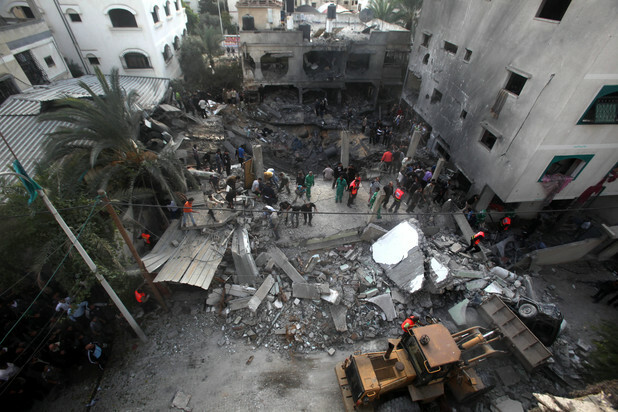 Around 2:30pm on 18 November 2012, an Israeli airstrike destroyed al-Dalou’s three-story house in the nearby al-Nasser neighborhood, killing ten members of his family and two neighbors. The victims included his 73-year-old sister, wife, two daughters, son, daughter-in-law and four grandchildren between the ages of one and seven, as well as a young man and an 83-year-old woman in the house next door. Jamal and his son Abdullah had left the house shortly before the attack. “I went out to buy some food and drinks,” Jamal said. “We had been under siege for five days. Everyone was afraid to go outside, since anything that moved in the streets was a target for the Israeli warplanes. I also wanted to check on the store I run. Before Israel’s eight-day offensive against the Gaza Strip, Jamal’s son Ahmed lived in Turkey, where he was studying for a master’s degree in civil engineering. “My friend called from Dubai,” Ahmed said on Monday. “He told me they had shelled an al-Dalou family near al-Nasser street and two or three homes had been damaged. At first I thought it was our relatives. “All the neighbors came to try to help civil defense remove the rubble and find any survivors,” Jamal said. He had lost consciousness when he heard that members of his family had been killed. In the days that followed, Israel scrambled to explain why it had bombed a civilian home, killing a dozen persons and wounding at least nine more. In the span of less than a month, it offered four conflicting justifications: that it had targeted Yehiya Rabiah, a member of Hamas’ military wing, the Izzedeen al-Qassam Brigades, unknown to the al-Dalou family; that it had meant to hit Rabiah, but struck the wrong house; that it had targeted Jamal’s son Mohammed, an officer with the Gaza security forces killed in the attack; and that it had never publicly named its objective, despite previous claims to the contrary (“Israeli military changes story about al-Dalou airstrike — for the fourth time,” Mondoweiss, 12 December 2012). “The Israeli claim that the attack on the al-Dalou home was justified is unsupported by the facts,” said Fred Abrahams, a Human Rights Watch special advisor who researched the case in Gaza. “The onus is on Israel to explain why it bombed a home full of civilians killing 12 people” (“Israeli airstrike on home unlawful,” 7 December 2012). In April this year, Israel’s Military Advocate General ruled against an investigation of the attack, saying that “the incident does not raise suspicion of the commission of a criminal offense, and that the unfortunate result occurred despite the efforts made to minimize the collateral damage to uninvolved civilians” (“An examination of alleged misconduct during Operation ‘Pillar of Defense’ - an update,” 11 April 2013 [PDF]). Ann Harrison, Amnesty’s deputy program director for the Middle East and North Africa said, “Once again, the Israeli military is claiming to investigate itself and there is no way for the victims of the Israeli attacks and their relatives in Gaza or for human rights organizations to know that the [Israeli army’s] internal review is not simply giving soldiers time to coordinate their accounts of events, making justice even more unlikely” (“Israel’s military investigations into Gaza conflict violations strengthen impunity,” 17 April 2013). Gaza’s security forces arrested the a man accused of helping Israel target their house in March, Ahmed said. A military court is hearing his case. The al-Dalou family were hit hardest by the November attacks. An investigation by the United Nations High Commissioner for Human Rights [PDF] found that Israeli forces killed at least 168 Palestinians during the attacks. The commissioner stated that 101 of the victims were believed to be civilians, including 33 children and 13 women. Injuries in the “hundreds” went uncounted. Two Palestinian demonstrators, as well as a twenty-month-old baby, were also killed in the West Bank at that time (“West Bank protests: Waiting for the tipping point,” Al-Akhbar English, 21 November 2012). A third demonstrator, Arafat Jaradat, died under interrogation in Israel’s Megiddo prison on 23 February this year, apparently from torture. After a brief visit to Turkey, Ahmed and his wife returned to Gaza. “We have a hard, empty life, especially during Ramadan,” Jamal said. “We were a big family. Ramadan used to have a unique taste. I remember taking my sons, my daughters, my wife and my grandchildren to the mosque to pray. The atmosphere at home was very special. One of his sisters, who lived near the barrier separating Gaza from Israel, had come to the home in search of safety, Ahmed said. Two of his other daughters had planned to come that day, but were delayed dressing their children, Jamal added. “We have to stop these people, to keep them from continuing like this,” Ahmed said. “In Turkey, we never bought Israeli products. My wife was shocked to find them for sale in Gaza, because people here have no choice but to buy them. I’m very happy to work on boycott campaigns. The al-Dalou family have received some aid from the authorities in Gaza and a great deal of support from the local community. And the determination of the refugee family remains undimmed. “My family was expelled to Gaza in 1948. I want to live in peace. But I’m from Yaffa [Jaffa],” said Ahmed, referring to the Palestinian city that was ethnically cleansed by Zionist forces and is located in present-day Israel. Joe Catron is a US activist in Gaza, Palestine. He co-edited The Prisoners’ Diaries: Palestinian Voices from the Israeli Gulag. He blogs at joecatron.wordpress.com and tweets at @jncatron. Dr. Ashrawi stressed, "It is astounding that Neftali Bennett, an Israel government official and Knesset member, has a complete disregard for due process, human rights, and the value of life." She added, "What makes it even more chilling and disturbing is the fact that Bennett believes that it is acceptable to imply that the killing of Palestinians is an ordinary event that Israelis should indulge in with equanimity and undeterred by any moral or legal consideration." 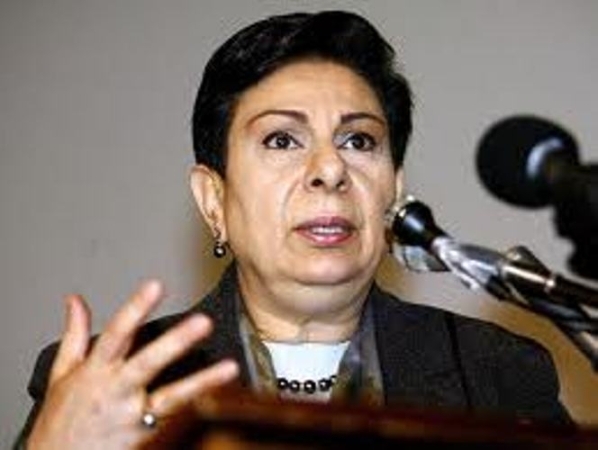 "Such horrific statements betray a culture of hate and racism, even at the highest executive level, which is the outcome of decades of Israeli military occupation with impunity and the deliberate dehumanization of its Palestinian victims," concluded Dr. Ashrawi. Palestinian President, Mahmoud Abbas, received on Thursday evening [August 1, 2013] a phone call from U.S. President, Barack Obama, and discussed the ongoing efforts to ensure smooth resumption of direct peace talks between Tel Aviv and Ramallah. Palestinian Presidency Spokesperson, Nabil Abu Rodeina, stated that Obama told Abbas he is committed to fully supporting the negotiations, and stressed on the importance to move the process forwards in order to achieve a comprehensive deal. Abu Rodeina added that Obama reaffirmed the U.S. support to the two-state solution and the importance of achieving a pace agreement in the agreed upon time-frame of six to nine months. On his part, President Abbas thanked Obama and Secretary of State, John Kerry, for their efforts to ensure a final status Middle East peace agreement. Israeli sources have reported that Obama also phoned Prime Minister Benjamin Netanyahu “commending” him on what was described as the “courage” to resume final status talks with the Palestinian Authority in the West Bank. Obama told Netanyahu that the United States fully supports all efforts meant at achieving a comprehensive peace agreement. It is worth mentioning that Palestinian and Israeli negotiators held on Monday their first direct session of peace talks in three years. The resumption of talks comes amidst unclear agenda loaded with various negative aspects including Israel’s insistence to what it calls its right to build and expand settlements, mainly in major settlement blocs in the occupied West Bank and in occupied East Jerusalem. On Thursday, the Israeli Knesset passed a bill in the first reading requiring a public referendum on any peace agreement that would require Israel to withdraw from occupied Palestinian territories labeling the issue as a referendum on “giving up” what was dubbed as “sovereign territory”. The Times Of Israel has reported that the approved bill includes all areas in the entire country, such as the occupied Golan Heights, occupied East Jerusalem and the occupied West Bank. In 2010, the Knesset passed a law requiring two-thirds vote or a public referendum on any agreement that requires a withdrawal from occupied Palestinian territories. The new bill comes to enforce the first bill. The Times Of Israel has reported that the new bill is meant to turn the referendum into a semi-constitutional law in order to prevent the Supreme Court in the country from voiding it as the court can void regular laws. The bill still needs to survive a review by the House Committee of the Knesset, and also needs to pass two more Knesset readings likely during the winter session. If it passes all readings, it will then be signed into law. It added that a congressman, who describes himself as a friend of Israel, spoke to Kerry asking him about the possibility of having the Palestinians recognize Israel as a “Jewish State”, and Kerry responded by telling him the issue is one of his goals, and said “Israel is the homeland of the Jewish people”. Kerry reportedly said that Israel will get to keep %85 of its settlement blocs in the occupied West Bank. The resumption of the talks and the various reports on a final status agreement in a relatively short time-frame come amidst Israelis rejection to recognize the legitimate internationally guaranteed Palestinian rights such as the Right of Return of the refugees. Tel Aviv never officially recognized the Palestinian rights, and rejects a full withdrawal from all territories it captured during the June 1967 six-day war. Israel’s settlements and its illegal Annexation Wall have transformed the Palestinian territories into isolated cantons, separating various villages from their orchards and lands. 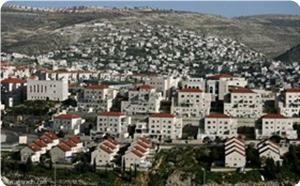 Settlements are also a direct violation of International Law and the Fourth Geneva Convention.